A release date for Childish Gambino and Rihanna‘s collaborative film Guava Island appears to have been set. The two stars were first reported to be working on a joint project back in August, with local media spotting Rihanna and Gambino – AKA Donald Glover – filming in Havana, Cuba. The film was later previewed with a trailer, which was screened at Gambino’s PHAROS festival in New Zealand back in November. 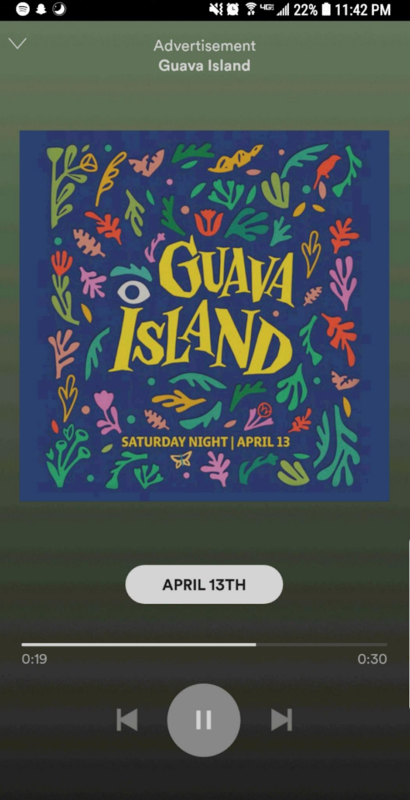 Now, it appears the project’s release is imminent, after fans spotted ads for Guava Island on Spotify with a release date of April 13, which also happens to be the day of Childish Gambino’s headlining performance at Coachella. It was recently revealed that Guava Island – which will see Rihanna and Glover starring as lovers and partners in crime – could also be released as a visual album. The résumé section on cinematographer Christian Sprenger’s site reportedly credited him as a Director of Photography on Guava, with the entry including the note “Visual album ft. Donald Glover (aka “Childish Gambino”)”. This has yet to verified by either Rihanna or Glover’s representatives, however, and the entry appears to have been removed. Guava Island has been directed by Glover’s Atlanta collaborator Hiro Murai, and will also star Letitia Wright and Nonso Anozie. Meanwhile, Glover reportedly recently settled a dispute with his former record label, after attempting to sue them over an issue regarding royalties.